Roundworm—Capillaria causes Capillariasis. Three species affecting humans are Capillaria hepatica (liver) C. phillipinensis (intestinal) or C. aerophila (pulmonary). Symptoms: There are lots of symptoms with this roundworm depending on the species, for example; enlarged liver and spleen, intermittent fever, nausea, vomiting, diarrhea, edema, and fluid in the abdomen. The intestinal form can cause abdominal pain, sporadic diarrhea, and weight loss. The pulmonary form can cause asthma, cough, fever, mucoid or bloody discharges being coughed up. You can get Capillaria from just about any infected animal—especially carnivores like dogs, cats, fox and even some birds or fish. Don’t eat raw fish. Rats seem to be heavily contaminated with this parasite. 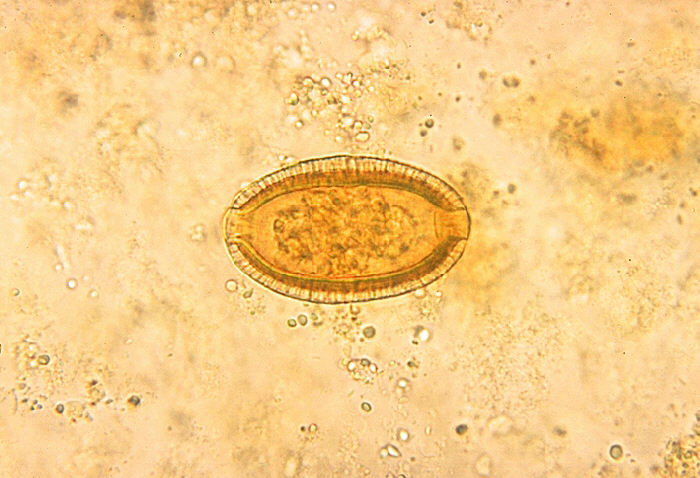 Picture Reference: https://dailyparasite.blogspot.com/2010_05_01_archive.html Check out the parasite of the day. Whoa.